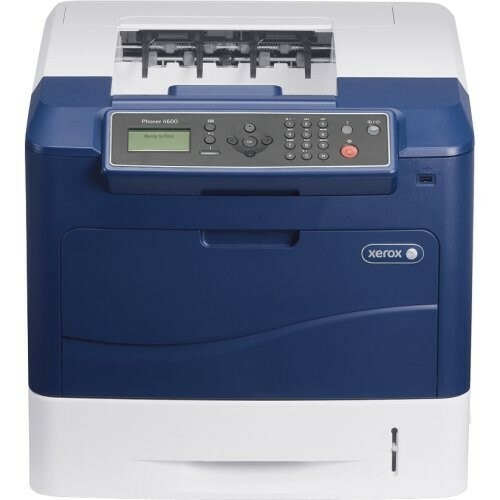 The Xerox Phaser 4600 is a monochrome laser printer that can benefit high-volume small or medium workgroups. This unit is the base model in a series that also includes more flexible models like the 4600N with networking, the 4600DN with networking and duplexing capabilities, and the 4600DT with duplexing and expanded media handling. The 4600 is fast, printing up to 55 pages per minute on 8.5x11-inch media. While the unit has a design worth of busy professionals, its price tag is a little high considering its range of features. A maximum monthly duty cycle of 275,000 pages and total paper capacity of 650 pages make this a suitable solution for high-volume workgroups. To expand media handling further, users can purchase a 2,000-sheet paper tray or smaller 500-sheet trays to increase the capacity up to a maximum of 2,750 pages. Another feature that will give users a professional edge is its output, which is crisp for text and graphics that print with a resolution of 1200x1200 dpi using black Phaser 4600 printer toner. Measuring in at 16x18x21 inches, the 4600 is a little large for a single-function printer but should fit on a table surface comfortably. 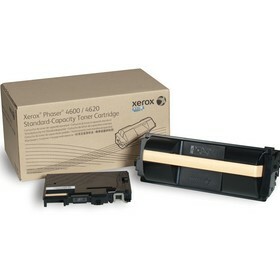 The design incorporates a front panel that includes a connection port for a USB flash drive, a monochrome LCD, an alert system for low Xerox 4600 toner and a quick print button. Users also have easy access to the memory for upgrades, which can go up to a maximum of 768 MB. The device operates with one Xerox 4600 toner cartridge, which will keep users from having to purchase multiple toners at a time. 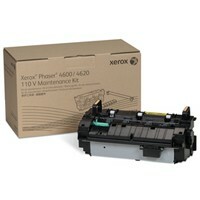 Replacement Phaser 4600 toner can last up to 13,000 pages and contributes to a low cost per page. 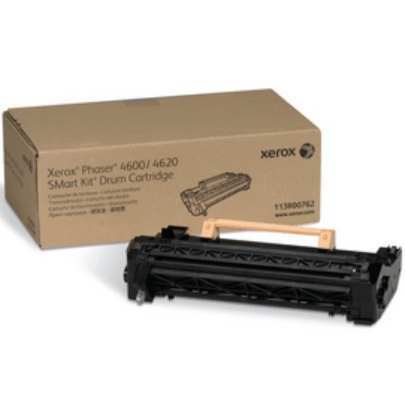 For increased productivity, users can purchase high-capacity Xerox 4600 toner cartridges that can last up to 30,000 pages. Compared to the other models in its series, the 4600 lacks the connectivity and flexibility of the other models. However, this device does offer cost-effective printing and a build that can still support high-volume workgroups.